La Gratitude has been the Pickstone family’s Hermanus holiday home for 100 years. 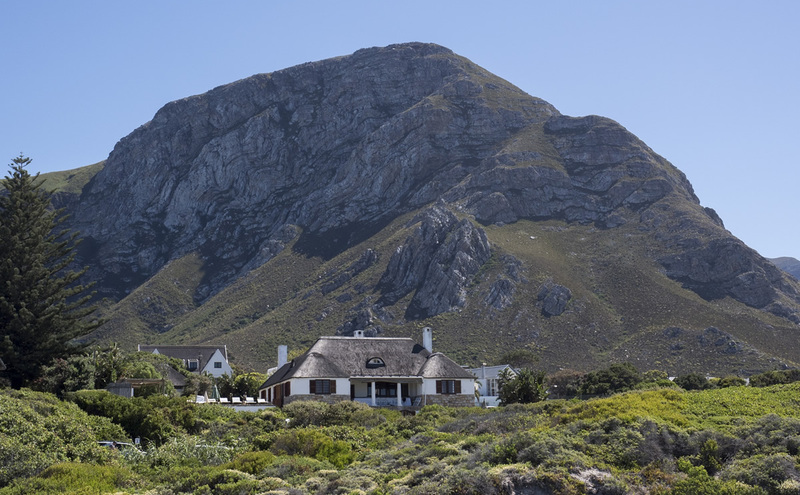 It was built in 1917 on a property chosen for its magnificent views of Walker Bay and for its proximity to the vast Grotto Beach, La Gratitude is filled with a lifetime of memorable summer holidays in Hermanus. This historical holiday home has recently been renovated to upgrade the accommodation and facilities to 21st Century standards. It offers superb, understated luxury accommodation in Hermanus that still retains the magic of bygone years. Its generous proportions provide ample accommodation for a maximum of 10 people. 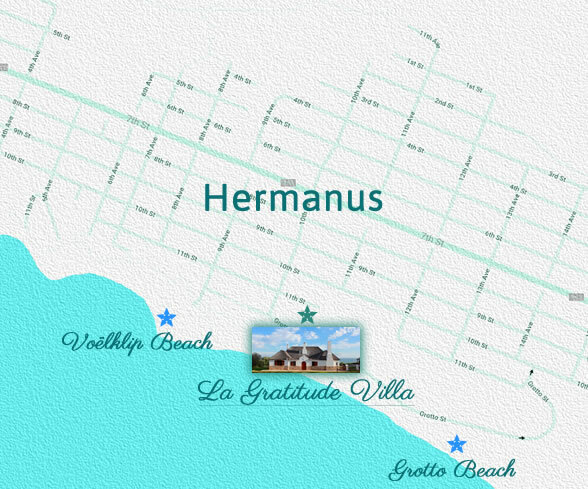 You’ll enjoy Hermanus at its best when you stay at La Gratitude. The Pickstone family offers the rental of their holiday home to those looking to enjoy a colonial self-catering Hermanus holiday. In splendid seclusion, La Gratitude is built on 3000sq metres of gently sloping grass rimmed by indigenous vegetation, yet it is the closest house to Grotto Beach and has arguabley the best position in Hermanus. It is a few steps from secluded coves, 12km of pristine beach, the Hermanus cliff paths and a short drive from the village. La Gratitude offers self-catering holiday accommodation in a family holiday home that was built to be a haven of tranquillity from which to explore the myriad of activities on offer in Hermanus. The Pickstone historic family home, Lekkerwijn, can also be rented by parties on individual rooms can be booked as part of a guest house.Lekkerwijn is an historic Cape Dutch Homestead full of Cape antiques, yet families including children are welcome to make themselves at home in this beautiful house, with extensive grounds and gardens. Enjoy the best of the Cape Winelands and coast at La Gratitude and Lekkerwijn. 10% Discount offered to parties booking at both properties for stays over 3 nights (at both properties).